S.I.L.O. 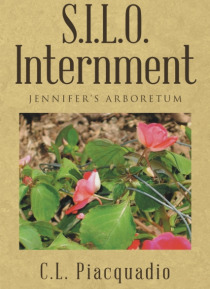 INTERNMENT JENNIFERS ARBORETUM is about a motherless child, Jennifer, who desires to join her elusive father in his quest to preserve Earths seeds of life. She accompanies him into the SILO complex which takes her away from beloved family members and friends. After years of confinement, and two months before they are ready to depart their internment, Jennifer and the Silo crew members exi… stence is tumbled upside down. Their personal, emotional internment becomes an actual physical internment. Without outside communication, What seems like a lifetime; Jennifer, James, Stephen and the SILO Crew must continue living in their enclosed protective S.I.L.O. complex until it is safe to venture out. They must reinvent their INTERNED lives. Heart-felt, secretive prayers to God and relying on His Holy Spirit, for guidance, are their true strengths.